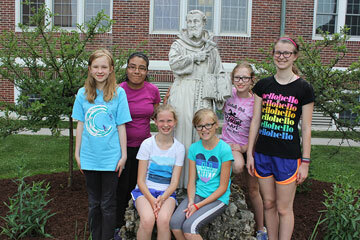 The Dubuque Franciscan Sisters have created a new a pilot endeavor called the “Canticle of Creation Center” to share the Franciscan legacy of striving to live in right relationship with all creation. The Canticle of Creation Center: An Earth Sanctuary of Solitude and Study is a place for all ages which will offer activities, speakers, lectures, and workshops. The mission of the center is to honor the Franciscan heritage by helping others to deepen their awareness and appreciation of the natural beauty of Earth. Click here to view the Canticle of Creation Center’s events.